I've spent a little more time playing with the track layout for my new Scalextric than I expected. I am trying to optimise the maximum track length with long straights that will fit in to my confined 2.4m x 1.2m tray in our attic room. 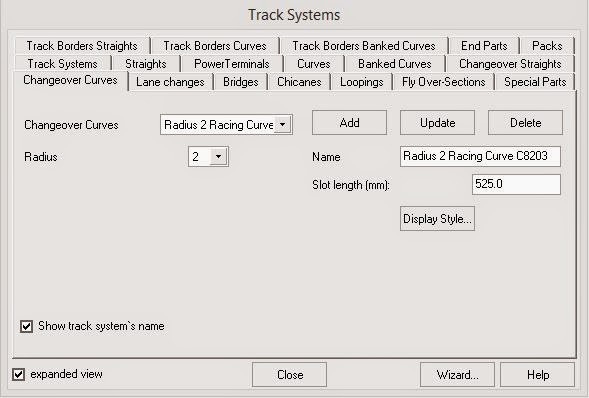 I looked at a few track design programmes but have stuck with the free SlotMan app. It's a bit old and has not been updated for a while but at least it works with Windows 8. 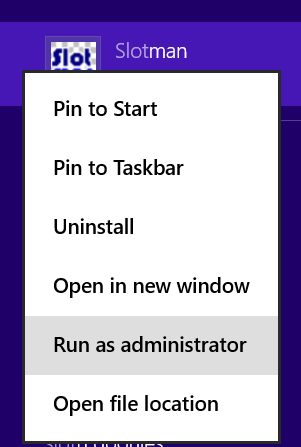 That is as long as you run it as an administrator. SlotMan comes with some of the Scalextric Sport sections but only the basic track shapes are included. This is enough to design most layouts but I found that it has a built in way to add extra track sections to add a bit more detail. When that opens tick the expanded view option and you get lots of extra tabs which enable you to edit and add track sections. I spent a few minutes adding the significant extra section that makes Scalextric Digital different to just Sport. Namely the lane change section. I also added the curved cross over section and completed the radius 1 and 2 parallel curve options. With those two additions I can now show the actual layout that I currently have setup. Note the lane changers and the racing curve cross over corners. 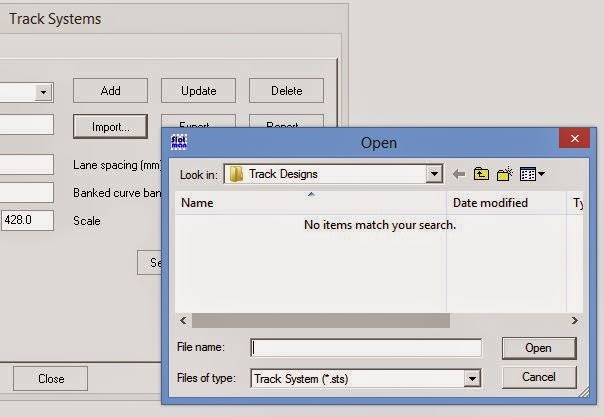 I have exported the Track System file (.STS) file so if anyone else wants to use it you just need to download the zip file. Uncompress the contents and import it in to SlotMan. 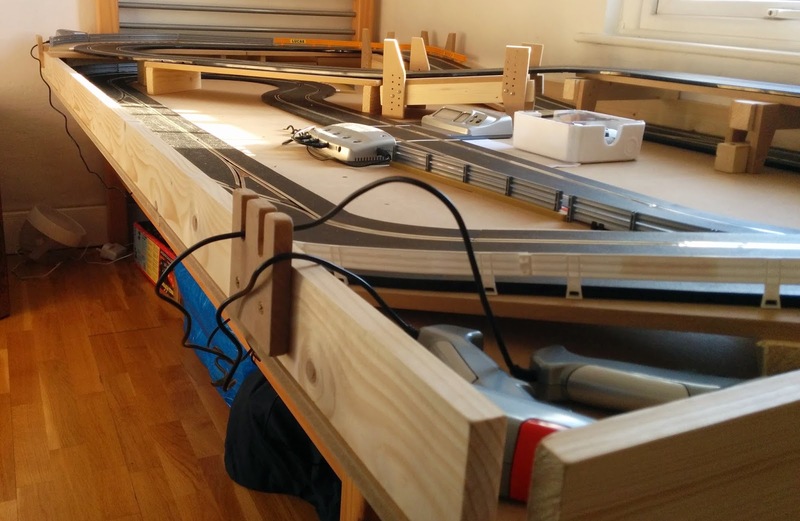 You should then have Scalextric Digital as a Track System choice for your layouts. I have not tried to include any of the single lane or pit lane options. I am not even sure if they would be possible. I hope what I've added is useful to someone else. I will now get back to trying to fit more layers of track without obscuring the view of too much of the rest of the track!